There’s a lot of talk in organizations about how often you should measure employee engagement. Is it best to do it every six months? Every year? Every two years? Companies want to make sure their employees are still engaged and connected. But if the optimal time to measure employee satisfaction is every six months, does doing it that often automatically create an engaged workforce? No! 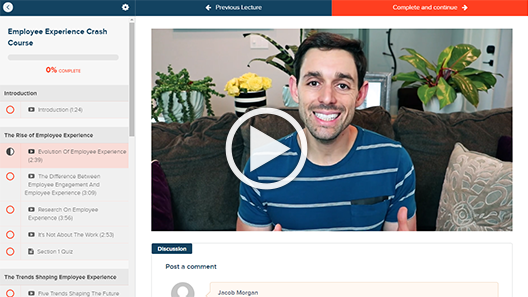 How often you check on engagement and connection doesn’t matter if employees aren’t engaged to begin with. Think about it this way—is there an optimal time to ask for feedback about your relationship from your spouse or significant other? Should you talk to them about it every day? Every week? Every year? There isn’t a perfect time to regularly update our relationship status and evaluate how things are going. In our personal lives, we do it all the time naturally. We don’t have a mental calculator that tells us it’s time to check in with our spouse because we just know when it needs to happen. We can tell if they are having a bad day and need to talk about something in the relationship, and we definitely allow our spouse to come to us to start a conversation instead of assuming that we always need to be the one to bring up a discussion about the state of our relationship. That’s how a natural, normal relationship works: there is more effort put into actually building and strengthening the relationship than there is worrying about how often you need to sit down to talk about how things are going. But in many organizations, relationships between employees and their companies are completely unnatural. We spend more time worrying about the template of how to measure engagement than actually doing it and putting the feedback into action. Workplace relationships should be more like those between spouses. Have conversations frequently and let them come naturally. Let employees start the conversation by encouraging them to come to you with ideas and feedback about how the organization can improve. This should happen often, not just when feedback is scheduled. Perhaps even more important than how we collect feedback is what we do with it afterwards. Measuring engagement is useless if it doesn’t do anything to change employee engagement. Think again about talking to your significant other: if your spouse tells you something you do that makes them frustrated or angry, you likely won’t do it anymore. But if your spouse lets you know that they really enjoy it when you wash the dishes or rub their feet at night, you’re likely to continue doing those things. That’s how it should be in our organizations. If employees mention things about the organization they find frustrating and that are causing them to be less engaged, we need to listen and put that feedback into action. Employee engagement initiatives are about the employees and making sure they feel connected. If efforts aren’t working with employees, they are useless. The bottom line is that it isn’t all about how often you measure employee engagement. Do it regularly and make it an ongoing effort instead of sending out a survey every six months and then forgetting about it. It’s not just how often you do it, but what you do with the data you collect. Take a step back and put yourself in your employees’ shoes: build a natural relationship where employees feel comfortable talking openly about the organization, and the feedback will come comfortably and organically. 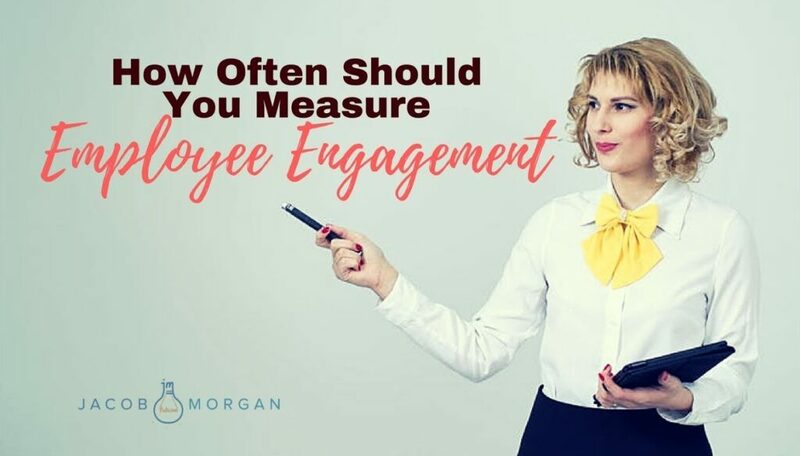 Employee engagement isn’t just something you check off a box and are done with, so don’t have that attitude about measurement.